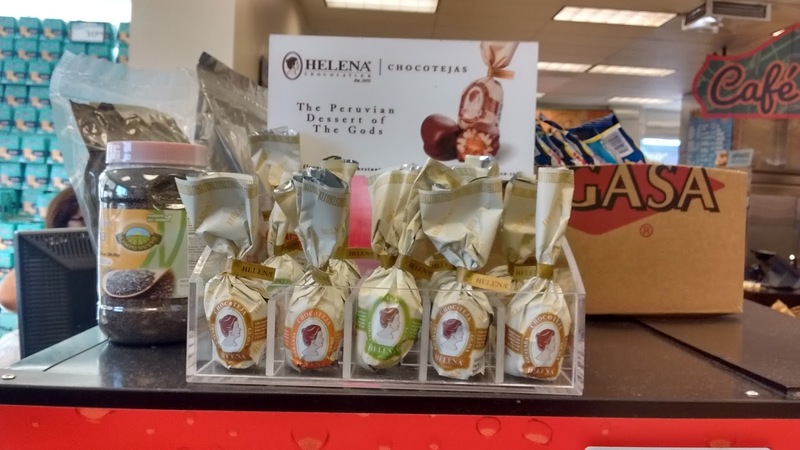 Who would think that the nation of Peru would make great chocolates? We, here in the USA, think French, German, Swiss, Belgium. But who amongst us thinks Peru? I hope this post will change that. And as a reminder, chocolate did come from the New World, so there is no reason to think that the Americas don't have great chocolate. 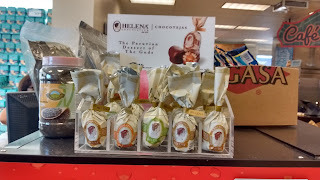 While shopping at my favorite Latin grocery a few days ago, I saw, a display of chocolates, near the check-out aisle. On close inspection, I saw one of the flavors was Pisco. I've written about this mysterious beverage here. 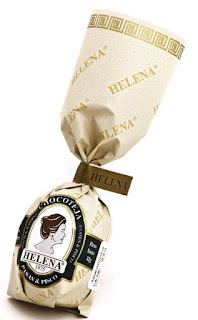 Now ordinarily I'm not a fan of fruit and chocolate, but this Helena Pisco and Raisins caught my eye. Here is a link to all the flavors they make. Helena Chocotejas. Lastly, the Pisco flavor marries nicely with the chocolate. To me, that came as a pleasant surprise. And it's a fact that chocolate is the Food of the Gods. 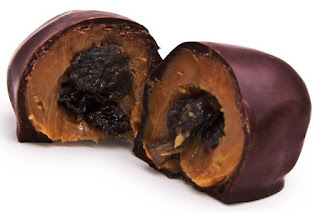 PS - Chocolate comes from cocoa, which is a tree. That makes it a plant. Therefore, chocolate is salad.